Residents throughout the Greater Cleveland Metropolitan Area and Northeastern Ohio consider W.F. Hann & Sons as the leading plumbing resource that offers excellent AC repair, superior AC installation and outstanding AC service. With our exceptional team of professionals, we will ensure that your home or your office is protected from any air conditioning breakdowns. We are well-known for preventing AC service failures and working to make certain that your AC installation unit performs as it should. With W.F. Hann & Sons, you can anticipate that you will have lower operational and ownership costs in the future. Regardless, if it is AC repair work, additional AC installation requirements or any AC service calls, when our Parma neighbors require the best AC service in the region, the only name they need to know is W.F. Hann & Sons. Parma, Ohio has approximately 80,000 residents and is in Cuyahoga County. W.F. Hann & Sons’ address is 26401 Miles Road, Warrensville Heights, slightly more than 13 miles east of Parma. Parma clients understand that our NATE (North American Technician Excellence) certified technicians are the preeminent specialists when they require a brand-new AC installation, AC repair work or any other AC service. This is the reason our NATE specialists persist in collaborating with Parma business owners and homeowners for all their AC service projects. Parma residents know they can count on W.F. Hann & Sons’ capable experts to endeavor to save them in both energy and costs. Delivering a healthier and cleaner environment is our main objective. W.F. Hann & Sons will not only strive to meet the expectations of their Parma clientele, but they will regularly surpass them. With its state-of-the-art advancements, trustworthy engineering and complete product reliability, W.F. Hann & Sons is notable for assessing clients’ needs and designing the most suitable AC installation systems. We will warrant that our customers have superior AC comfort, efficiency and the value they deserve. W.F. 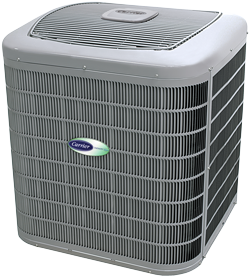 Hann & Sons’ AC service contractors are factory-trained, fully insured and licensed in AC installation and AC repair. The W.F. Hann & Sons’ team is celebrated for delivering its clients the same courtesy and respect to which they are entitled. If you are contemplating improving the comfort of your home and your business, you can count on W.F. Hann & Sons to make sure you receive the finest quality in workmanship for which we are well-known. To arrange for an appointment for AC repair, AC installation or AC service, call W.F. Hann & Sons, today, at: (216) 831-4200. If it is emergency AC service you require, we are available 24/7!